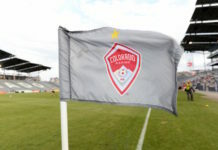 COMMERCE CITY – A big announcement is coming up for the Colorado Rapids next week, although it’s not totally clear what yet. 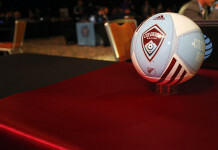 On Friday, Major League Soccer released that league commissioner Don Garber and several important officials will be in Denver on January 21 for a big announcement. 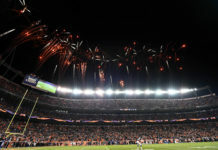 According to early speculation, the expected announcement could be the naming of Denver as the site for the 2015 MLS All-Star Game, with the possibility of English Premier League club Arsenal being named as the opponent. Over the past few seasons, the MLS All Stars have faced a big European club. If the game comes to Denver, it would make sense that that club would be Arsenal, a team in which Stan Kroenke is the majority shareholder. Last year, the MLS All-Stars faced Bayern Munich, featuring young U.S. National Team star Julian Green. Recently, young Arsenal prospect Gedion Zelalem announced his commitment to the USMNT, meaning an Arsenal match up could provide similar billing for supporters of the U.S. Team. 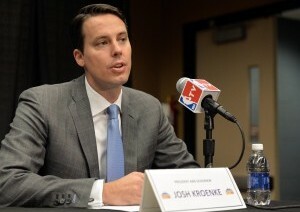 Besides the obvious father-son tie between Stan and Josh Kroenke, the Rapids also have a working relationship with the Premier League club. Former Rapids manager Gary Smith was once a scout for Arsenal and the team allowed Bolivian prospect Samuel Galindo to trial in Colorado during the 2014 preseason. In recent months, members of the Rapids front office were known to visit with officials from Arsenal abroad. For all intents and purposes the proof appears to be in the pudding regarding the rumor. However, the real truth will be revealed next Wednesday when Garber sets foot in Denver.